I realize for some of you who follow such things, this is old news. After all, Luke Schneider’s blog post announcing that Audi is buying Silvercar is 2 months old. But as a new Silvercar customer, I found it awfully surprising. Audi’s Buying Silvercar – but no other blogs mentioned this!?!? Ok, I can’t verify without a doubt that no other blogs mentioned this, but I don’t recall seeing anything even close to a major car company (Audi) buying Silvercar. I won’t hypothosize why this may or may not have been highlighted. The fact is, I see no good reason why it wasn’t highlighted. We in the travel blogosphere highlight so many tangential things, like the Chairman of the Chinese Company that tried to buy Starwood was reportedly detained. The fact is, there is just too much news fit to print in the travel and miles and points blogosphere. So I will make my attempt to cover this very important development. While I have yet to rent with Silvercar, I do in fact have a planned rental later today. The part that enticed me to venture afield of National, was the fact that Silvercar only rents Audi A4s. Despite my appreciation for National, they’ve never given me an Audi to drive, nor have I seen such a vehicle in the Executive Aisle. That, I would argue, is the true benefit of Silvercar. 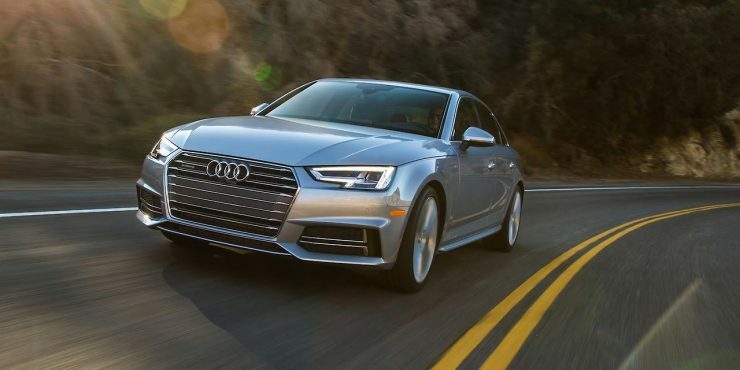 Silvercar has a rather simple value proposition: Rent an Audi A4. Who wouldn’t want to rent a nice car?! Instead of a roulette wheel experience of “what car can I find today,” Silvercar guarantees an Audi A4 for every single renter. Its a magnificent business model on its own. Apparently Audi took notice! All I can say is: Bravo! I’m sure I’ll have more thoughts on my experience renting with Silvercar, but at the moment, my biggest thought is the fact that no one talked about the fact that Audi is buying Silvercar! It still amazes me that it wasn’t more covered in the blogosphere. Even more amazing is that no one seemed to mentioned it–at least of those that I have read–despite the amount of truly positive press about Silvercar rentals that I’ve seen. I’m not trying to throw shade on others, this could be the fact that I just didn’t notice things, but the fact that Audi is buying Silvercar seems like a pretty big deal, and well worth mentioning in reviews. What do you think? Have you rented with Silvercar? National Rental Car has been my rental car company of choice for the past few years. 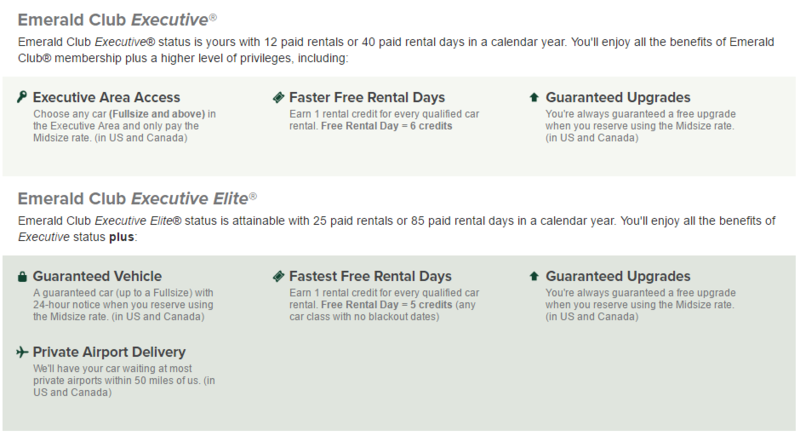 I started renting with National Rental Car, when my company gave me Emerald Club status, and have stuck with them since. Of course I later learned that Emerald Club status is pretty easy to get. That said, National has some great benefits for members that rent a bunch, and even for those that don’t rent a bunch. One key point is that to leverage these benefits, in general, you need to book a midsize car. This is where I think infrequent renters will see a lot of value. For starters, you get Emerald Aisle Access, so you can choose your car. For me, this is a big deal, because I like choice. I might find a car with heated seats – for me, that’s the thing I care most about. Heated seats. Of course, other benefits, like no second driver fees are especially great for families traveling. You never know when you might be too tired to drive, and knowing that your significant other can drive with the blessing of the company, well, that is peace of mind. You can also earn credits with Enterprise (who will pick you up! ), there’s also the virtual aisle option, and of course you can earn a variety of rewards. National Emerald Executive and Executive Elite benefits. Generally speaking the Executive Aisle has nicer cars. The key here is that you should book a midsize or above rental. If you do that, then these benefits apply to you. Differences from the basic Emerald Club status includes earning free rental days faster, and access to nicer cars. Thanks to Executive Aisle status, I’ve driven Chevy Camaros, Cadillac CTS, and a variety of Ford SUVs, including Explorers and Expeditions, all of which were fully loaded. For the most part, I’ve just been an Executive, which American Express Platinum holders can get for free. But, every so often, we rent enough to qualify for Executive Elite. Our Emerald Club Executive VIP tier is for close friends and associates of our CEO and founder, Andy and Jack Taylor. To achieve this status of rental service with us; you would have to be invited personally by our founder or CEO. Only 0.1 percent of our customers are members of this exclusive tier. Their benefits are exactly the same as all other tier levels of the Emerald Club with the exception of local delivery service. I hope I answered your question. If you should need anything further, please email us. I suppose the answer really is, if you want to be the top 0.1%, well, then Emerald Club Executive VIP is for you… or if you happen to know the big wigs at National. National Rental Car is my go to for rentals. My uses include airport transfers and sourcing trips. I’ve found that one-way rentals from BWI to Washington-Dulles or Washington-Reagan are not significantly more than an Uber would cost. As far as sourcing, I find that it is cheaper to pay for a rental car, than expense the miles, when I’m going to be driving more than 200 miles (assuming the $0.55 per mile). When I’m traveling, I find the Executive Aisle usually has a car that I want to drive, rather than just a car to drive. Because, at least for me, I’m always looking for the aspirational experiences. Even if you aren’t, National tends to have some low mileage car options.